Often referred to as the City of Lights and the City of Love, your best choice in Paris is to get lost on a bike. 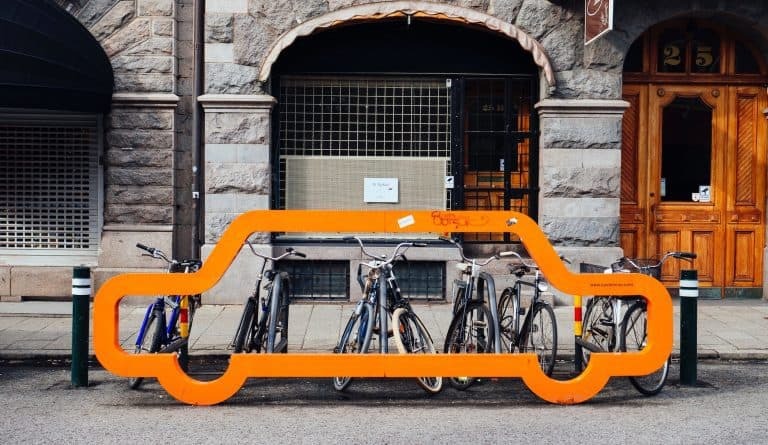 Long cycle paths make getting around quick and joyful, plus think about all the narrow alleys and hidden spots that you can only get real close to on a bike. Switch on the romantic explorer in you and rent a bike in Paris with the Donkey Republic app. 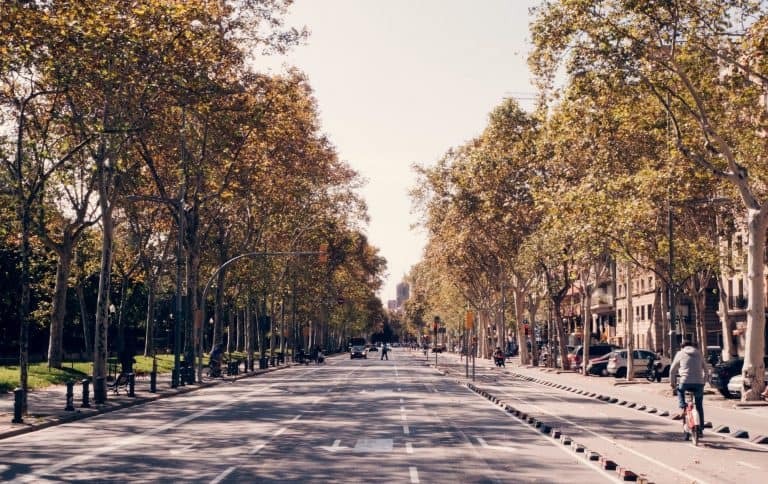 Currently Paris has 700 kilometres of cycle lanes and the city works hard to catch up with the world’s most bike-friendly cities. By 2020 Paris plans to double the number of bike lanes, introduce highways for bikes and make the cycling safer. It is easy to rent a bike in the busy French capital, simply open the Donkey Republic app and look for all of our bike rental locations in Paris. 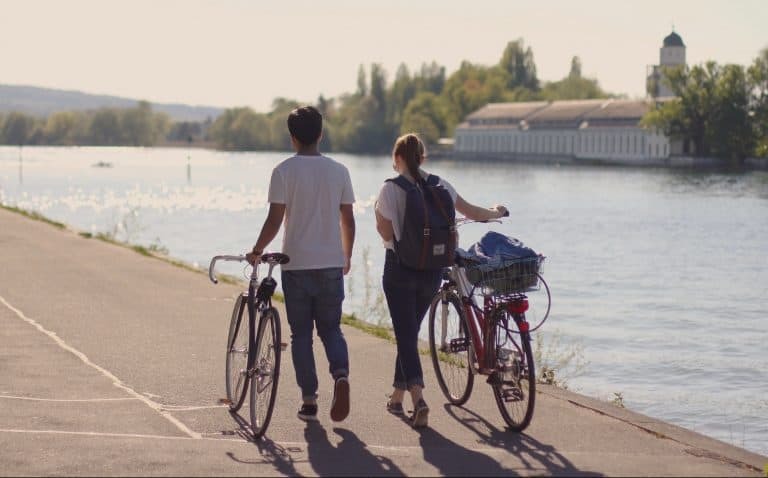 Once you get your hooves on a two-wheeled companion, you are all set to explore history and art, enjoy delicious food and canalside picnics, and experience what the City of Light and Love has to offer. 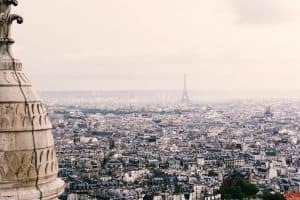 Take your Donkey Bike in Paris to the 10 best food markets, or the best bars along the canal, check out the most beautiful views, relax in one of the many parks in the city and make sure you take in all the street art as well. Or simply get lost in Paris on your rental bike, district by district. Take your rental bike to the center of Paris, The Louvre, Les Halles and the Palais Royal are all in the 1st district. The 2nd district is home to the Paris Stock Market (the Bourse) and is made for lovers of shopping in trendy boutiques and the Place des Victoires. Not far from there you will find the Picasso Museum, in Marais, one of the oldest and liveliest neighbourhoods of Paris, full of trendy bars and restaurants. 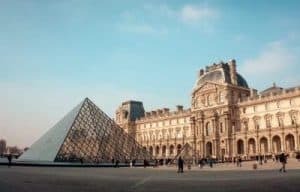 In the 4th district, you will find the Jewish quarter and bridges over the Seine leading to the islands in the middle of Paris, Ile St. Louis and the Ile de la Cité. In the 6th district, you will find boutiques, art galleries, the famous Luxembourg Gardens and restaurants, a great opportunity to relax just before hitting the 7th district in Paris on your rental bike. Here sits the Eiffel Tower, the Rodin Museum, Musée d’Orsay and the market street, Rue Cler. Heading up to the north side of the Seine again, you are already at the Avenue des Champs-Elysèes, heaven for tourists, pinned with high-end fashion stores and just a short bike ride from the Arc de Triomphe. Continuing to the west, the 9th district is a diverse, artsy neighbourhood. The Paris Opera and big shopping malls the Galeries Lafayette and Printemps are there. A little further North on your Donkey Bike is Pigalle, home to the Red Light district and the Moulin Rouge. Tour the multicultural cafes and restaurants along the Canal St. Martin on your Donkey Bike in Paris and you will feel like a real Parisian. 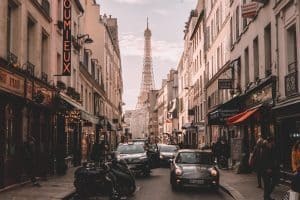 It’s a young and lively neighbourhood, popular amongst locals and visitors too and you will find the two big train stations, Gare de l’Est and the Gare du Nord here as well. Be sure to take your bike to Place de la Bastille and best if you find yourself here in the evening, the Rue de la Roquette and the Rue Oberkampf are the center of the Parisian nightlife. Immerse yourself in a multicultural village-like experience Chinatown, at Place d’Italie or at a sweet restaurant on the cobble rocks of the Butte-aux-Cailles neighbourhood. Now that you are on your rental bike in Paris, Montparnasse is just a short ride away. Trocadéro is a rather wealthy area with high-end fashion stores and a great view of the Eiffel Tower from cafes on Place de Trocadéro. From there a scenic half an hour ride passing the Arc de Triomphe in Paris on your Donkey Bike and you will find yourself at Montmartre. 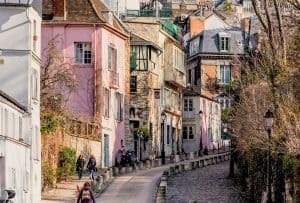 However an artsy residential area, it’s naturally popular amongst tourists because of the breathtaking views across Paris from the Sacré Coeur church. Women of Paris offers walking tours that are focused on sharing the stories of influential women who have left their mark in the history of the French capital. Fed up of the same old narrative which tends to be dominated by male personalities and their achievements, founder Heidi was inspired to create the walks centred on the lives of women instead; illuminating their stories in the City of Lights and bringing more equality to the perception of Paris in the minds of visitors and Parisians alike. Station W is a new coworking network in Paris, affordable and mobile. “We occupy atypical places around the city, which are not used during the day and where you can enjoy our monthly full service : coffee, tea, optic fibre cabling wifi, in any place from 9am to 6pm. What make us different? Mobility, inspiring places and the cheapest coworking network in Paris! Join our community of startuppers and freelancers with a special discount for Donkey Republic’s members! Special offer : 20% discount per month.